Big Whiteface as viewed from the summit of Little Whiteface and the top of Excelsior. As promised, I was hard at work yesterday gathering data for today's Adirondack outdoor recreation report. 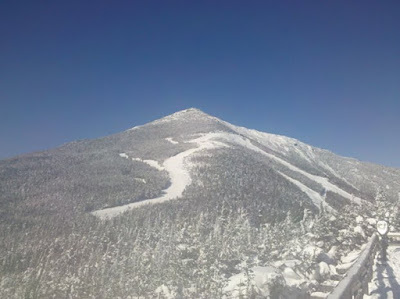 Whiteface Mountain really did get 23 inches of fresh powder, as my exhausted quadriceps will attest. 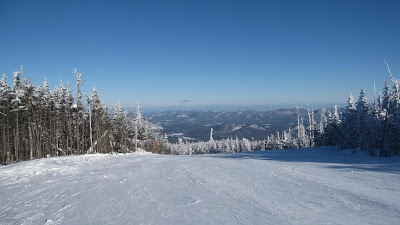 As you can see in today's collection of photographs, it was a gorgeous day on the mountain. Conditions and company were delightful. From the top of the Wilmington Trail - great skiing yesterday. 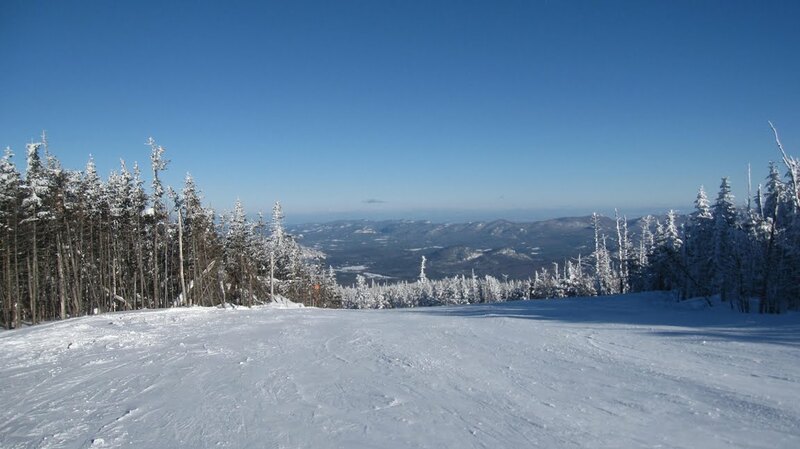 All Adirondack cross-country ski centers are reporting superb conditions as well. I will conduct an in-depth investigation later today just to make sure. Lake Placid as viewed from the top of Little Whiteface. 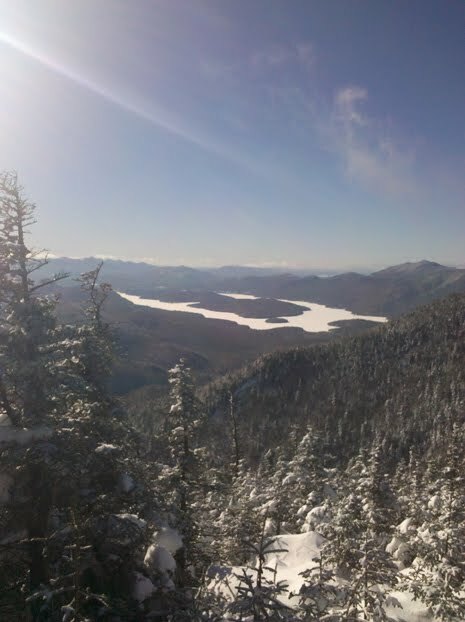 "Snows have accumulated to sufficient depths on Adirondack Mountain slopes to create conditions conducive to avalanches. While avalanche danger increases during and immediately after major snowfalls, as well as during thaws, avalanches can occur in any situation where snow, slope and weather conditions combine to create the proper conditions. The majority of avalanches in the United States occur in the western mountains. However, avalanches do occur in New York and can have dire consequences. DEC reminds back country winter recreationists to take the following precautions when traveling in avalanche prone terrain: know avalanche rescue techniques; practice safe route finding; carry safety equipment (transceiver, probe, shovel); never travel alone; know the terrain, weather and snow conditions; and inform someone where you plan to go and when you expect to return. Information on avalanche danger and safety precautions is available on the DEC website at http://www.dec.ny.gov/public/950.html. A brochure titled “Avalanche Preparedness in the Adirondacks” is also available for download on the website or by contacting the DEC Region 5 office at (518) 897-1200. Skiers and snowshoers are reminded that the Avalanche Pass Slide is closed to public recreation of any type during the winter." Ahem. I think the authorities want everyone to stay off the slides.